D. Bernard Foster, M.D., is teaching psychiatric residents in a neurology class. The Menninger Clinic is a facility for mental-health treatment, education, research, and prevention. 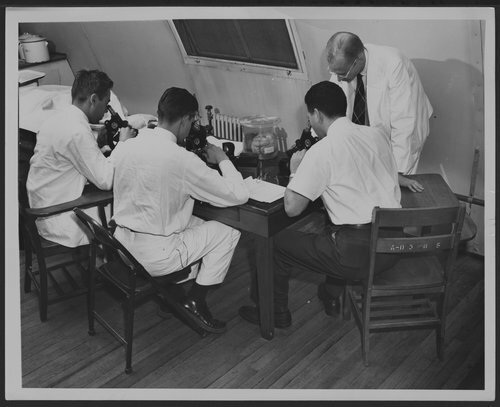 It was started in 1919 in Topeka, Kansas, by Dr. Charles F. Menninger and his two sons, Karl and William. . Menninger was a key training hospital from the early days and became the largest training center in the country after World War II.